This article is part of series highlighting different organizations within NVTBL. We will be posting new articles each week. The top five percent of high school baseball players in the country have no problem getting recruited to play college baseball, usually before their junior year. 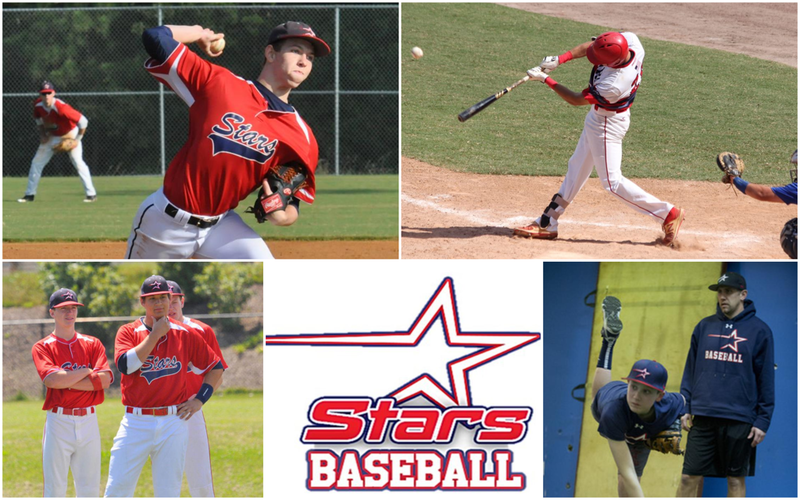 The Stars Baseball program takes pride in creating pathways for the rest of the 95 percent of players who need the coaching and connections to play at the next level. Founded in 2008, the Stars have committed over 500 players to play college baseball behind co-founder Carson Carroll’s model of elite coaching, year-round workouts and consistent exposure to college coaches. General managers Mike Colangelo and Shawn Camp have grown Carroll’s vision by hiring more top-level coaches, servicing players from all ages, incorporating facility access and growing their network of connections in the college baseball community. The vast understanding of the different levels of play along with what certain coaches look for allow the Stars program to find proper fits for players and ensure they are on the right track to reach their goal. Colangelo and Camp both attended George Mason University, however their ties don’t end there. Carroll, Colangelo, Camp and recruiters Jack Ferrick and Mark Wrighte have connections to hundreds of coaches, recruiters and scouts from college and professional levels. Over the years, the Stars have established trust and credibility with recruiters and scouts that has allowed the program to grow on a national scale. Colangelo joined the Stars’ staff in 2011 after playing professionally for eight years while Camp played 18 years professionally, including 11 seasons in the Major Leagues. Their experience and knowledge of the game is unmatched in Northern Virginia, but it’s their method of developing players that separates them from the rest of the pack. The Stars program is also incorporating data and technology to further develop players. The program can utilize video or data points from Rapsoda and HitTrax systems to show where players are, show them where they need to be based on the average data of that level and then show them evidence of their progression. The Stars are able to accommodate youth players learning the game all the way up the scale to high school and college players looking to play at the next level. Looking to the future, the organization will continue to add coaches and resources that will further develop their players while staying true to their foundation. For more information on the Stars Baseball organization, visit starsshowcasebaseball.com.